Bob Dukish paperbacks and eBooks are available at Amazon, and Barnes and Noble, and now at Apress Media. Preview the new book from Apress. Get the parts list for the electronic projects. My students and I learned to write interactive game code and build corresponding electronic circuits using the Arduino microcontroller. It is very satisfying to start from scratch and gain skills and knowledge while having an interesting time in the learning process. I think you'll find the book a fun way to learn about programming and electronics from the ground up. You can order a copy now from Apress and download code from the book on GitHub. Make sure to bookmark this page for updates. Narrated video showing a few of the electronic projects. Montage video showing projects from the book. 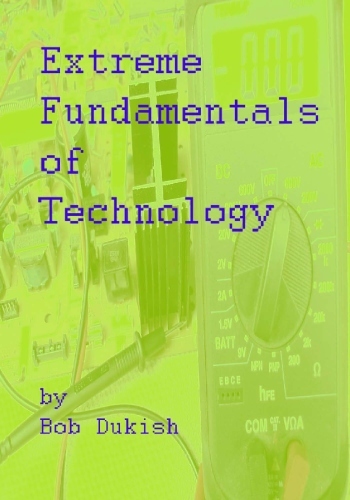 The first in the Extreme series, available as a paperback or eBook, provides a broad overview of high-tech subjects. We start with measurements of quantities in three dimensions, learn about digital circuits, ICs, computers, and electronic principles. 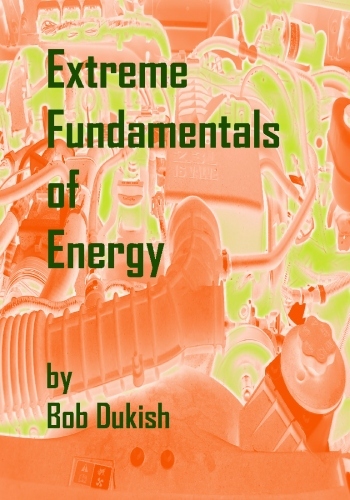 This book, available as a paperback or eBook, examines forces and energy. We differentiate between AC and DC circuits, and examine climate change from a scientific perspective. 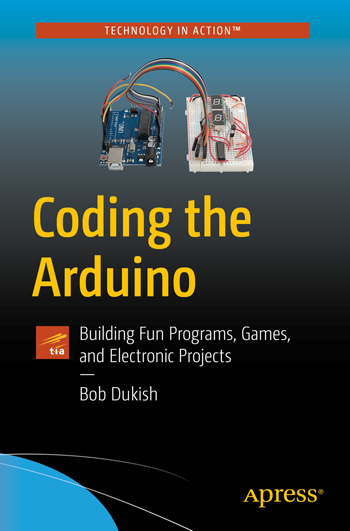 Get program code from my new Arduino book. Americans are competing in a world economy and need to change the mindset of being a nation of users and consumers to that of a nation of thinkers and makers.